Certain crops, such as walnuts and prunes, are highly sensitive to specific pesticides that are commonly used in agricultural practices. 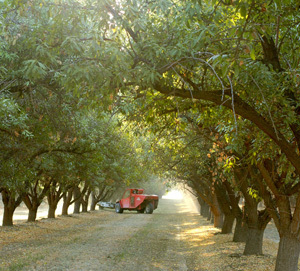 Colusa County Agricultural Biologists have created annual maps of Regiment buffer zones around walnut crops and Propanil buffer zones around prune crops to promote quality control of these crops during pesticide applications. For your convenience, we have created printable maps covering the entire County of Colusa (ledger-size with the ability to print as ledger and letter-sizes). We have also included poster size maps with a higher resolution. Please contact the Agriculture Department at (530) 458-0580 if you have any questions regarding these maps. Poster size allows for a higher resolution.